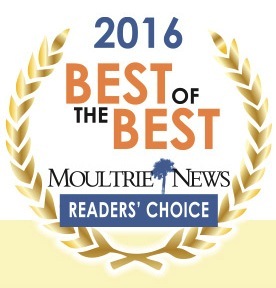 The people of the Lowcountry have honored us once again by voting for Structures as the Best Custom Home Builder! Each year readers of The Moultrie News cast their votes for their favorite local businesses – everything from restaurants and entertainment venues to medical offices and auto repair shops. The distinction of Best of the Best is given to business in several categories, and we are incredibly thankful to receive top honors in the custom home building category. We truly love the community in which we live and build, and our aim is to provide the most enjoyable home building experience from start to finish! Thank you to the readers of The Moultrie News for a great reminder of what a wonderful community we have – along with the help of fantastic subcontractors, suppliers, and architects – you help make us the BEST!